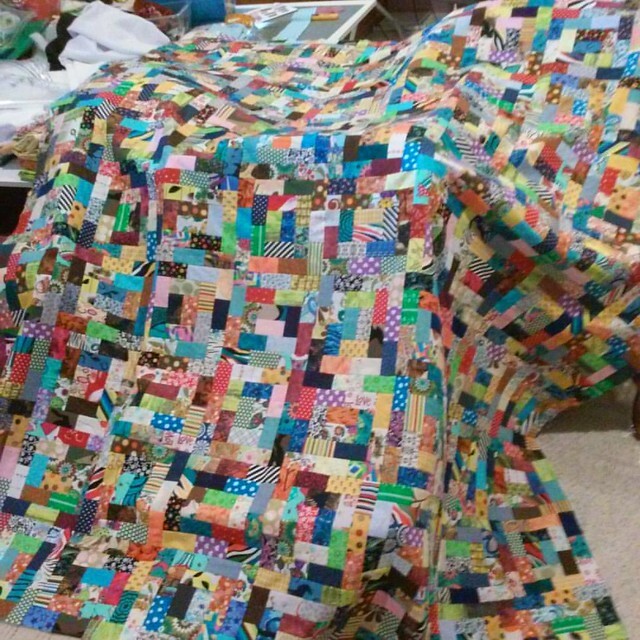 I hadn't necessarily meant to make another one of this quilt pattern. However, daughter #2 has overtaken the first one and uses it on her bed constantly. She loves it--mainly for how large it is. I assume that when she leaves home this is one of the quilts that she will take with her. So as I was trying to clean out and purge part of my sewing room, fabric, and materials, I decided to start another one of these. And it just went from there. I'm kinda hooked on this pattern design. Normally I'm not a big fan of putzing around with small pieces, etc. but this one is good. And really this is probably as small as I will go on cutting pieces (2 x 3 1/2) for a quilt. 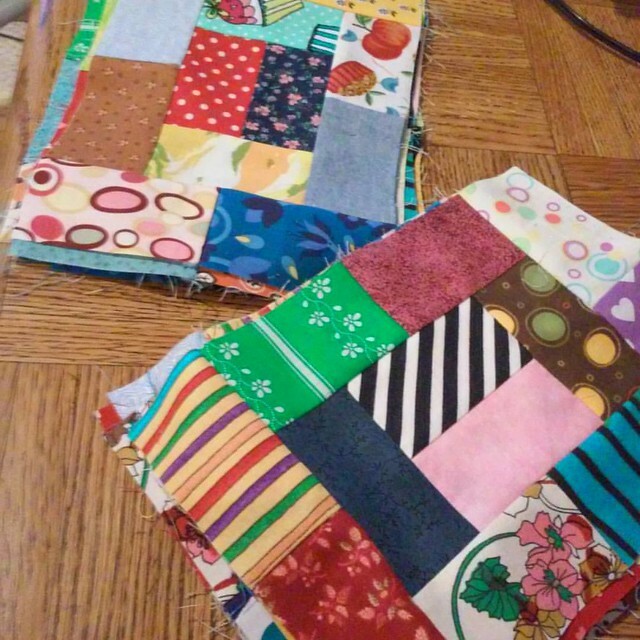 I'm no CrazyMomQuilts when it comes to scrappy quilting. This is how I start it off. Put all the pieces in a bucket. Then start sewing. Then add more pieces, keep sewing. Repeat until you have 90 blocks. Finished top overtaking my basement. So move it outside and have 2 kids help hold it for pictures. See post on Version #1 for quilt pattern info. This is a good quilt pattern for "ugly" fabric. Cutting it down small enough makes it appear lovely. visiting from crazy mum quilts. 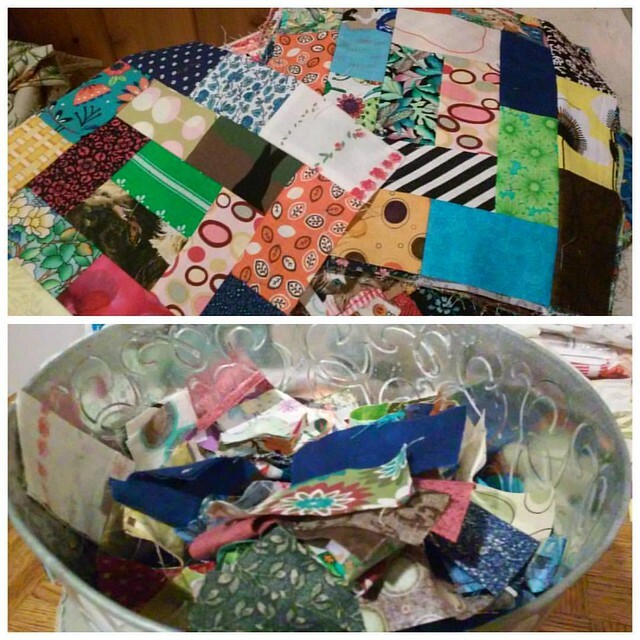 I love scrappy quilts and this is absolutely amazing!!! 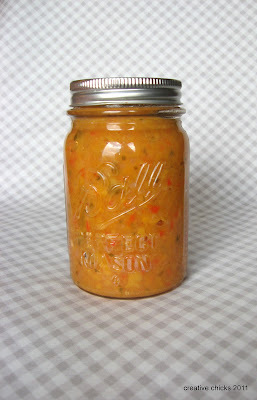 I would be thrilled to have made that.